John Pouncy had come to a conclusion, the underlying principle being: a mixture of a potassium, or ammonium, bichromate salt (dichromate and bichromate describe the same thing) in a saturated solution is mixed with a colloid, such as gum arabic, gelatin, glue or starch. This UV light-sensitive liquid mixture is then applied to a substrate, such as paper, and dried. A contact negative, the same size as the finished print, is placed in direct contact with the dried sensitized coating in a contact-printing frame and exposed to sunlight. The portions of the sensitized paper affected by UV light through the negative will then become insoluble in direct proportion to the amount of light received. By itself, the dichromated salt and the gum Arabic (sap from an Acacia tree) will produce a buff or tan-colored image. This particular sensitizer is often employed as a preliminary sizing layer for hand-applied liquid emulsions and unique substrates. If a coloring agent, most often watercolor pigment, but occasionally a gauche or a metallic powder, is added to the dichromate and gum Arabic sensitized mixture, the color of that pigment will remain in the UV light-hardened emulsion. Again, because the dichromate / pigment / gum arabic mixture will harden in direct proportion to the degree of UV exposure received. In a first exposure, the thinnest parts of the negative (the shadows) will allow the most exposure, and will cause the image upon the coated paper to become the most insoluble and hardened in those areas. The densest parts of the negative (the highlights), will require more exposure and will as a result, harden less during the same exposure time. This means that during the wash-development stage the un-hardened pigment simply falls away from the paper leaving the highlights color-free. This is exactly why sizing is so important. It is also why, if you didn’t yet read the previous chapter on paper preparation, you probably don’t understand what you just read. 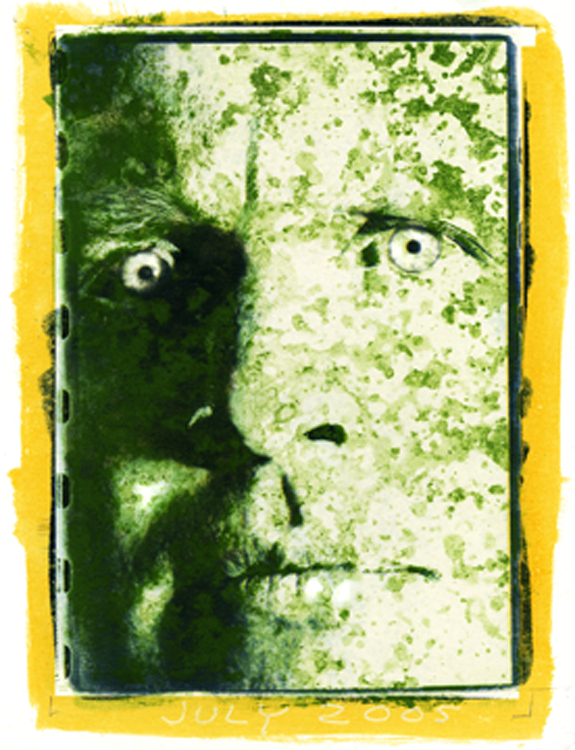 The other factors that will influence the outcome of your gum print are many, but the most relevant include the dichromate sensitizer-to-pigment ratio, and the amount of pigment in the sensitizer mix, the paper you choose, water type and temperature, paint type and color, and how all of these work with the chemistry and your individual technique. Gum bichromate printing is a seductive process due to its very simplistic chemistry, water development, and unlimited color potential with watercolors of the artist’s choice. Gum printing is quite flexible and easily combined with other processes and graphic disciplines. Because of its pigment, paper, and brush roots, gum bichromate is one of the few photographic processes capable of achieving that wonderful element of “gesture” - that painterly expressive word describing the “artist’shand” in the creation of a mark.